History pivoted on the Cross and the upper room prayer meeting that followed. The power of the age to come rushed into that Jerusalem prayer watch, impacted the city and launched a global mission movement that has not lost momentum. After that the early apostolic church could not reduce corporate praying to being just a peripheral activity. They had been witnesses of God’s powerful response to the sound of His people praying in agreement with Him and with one another. Praying together eclipses the prayer strength of praying alone…if done in agreement. This track, ‘Building agreement in corporate prayer’, feeds passion for corporate praying and explains key elements for praying with “one heart and mouth”. It explains mercy’s miracle of making zeros into ONE, drawing us into union with Him and with one another. Understanding oneness is the essential foundation for the high-rise building of prayer agreement. 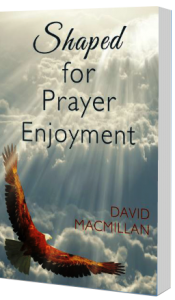 The track opens the dynamics of ‘upper room’ praying (distinct from the ‘inner room’ personal prayer life) and offers guidelines for leading prayer sessions. It explains the authority of the corporate prayer voice, how to build agreement, and the servant mindset of the upper room pray-er.